Successfully completing a tough stage four at this year’s Desafio Ruta 40 in sixth place, Rockstar Energy Husqvarna Factory Racing’s Pablo Quintanilla has moved one step closer to securing a strong fourth place overall result in the penultimate round of the 2017 FIM Cross-Country Rallies World Championship. Taking competitors high up in the Argentinean mountains, stage four of the Desafio Ruta 40 proved to be yet another great challenge. 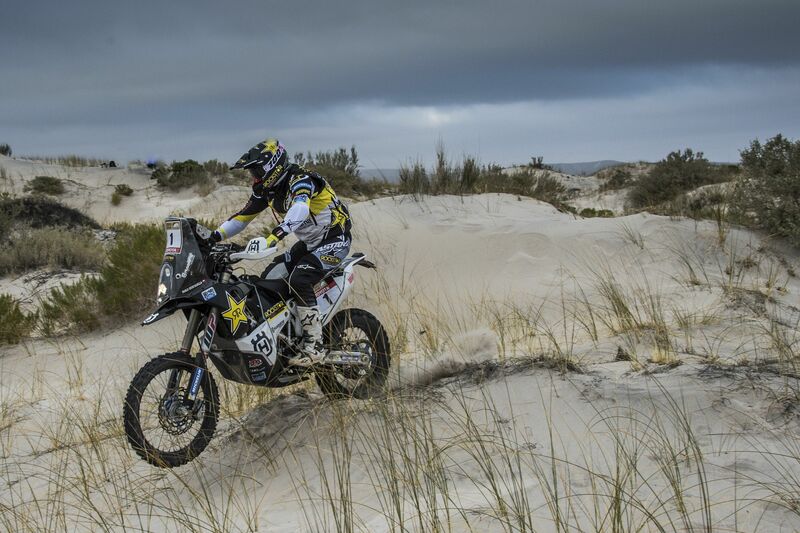 Enjoying a mistake free special stage Pablo brought his FR 450 Rally home in sixth position. With one shorter stage still to be contested, the Chilean rally star is currently 20 minutes behind a provisional top three overall result. Focused on finishing the event with a good overall position, Pablo will be looking to collect as many points as possible for the championship hunt. Leading riders towards the big finish in Tucumán, tomorrow’s stage five includes a special stage of 180km. The total distance to be covered on Thursday is 327km.